Soooo, it only took me three years to make it to this start line. Two years in a row I had to email the RD, Keira Henninger, and let her know that I’d be a no-show due to injury. So as 2016 came to a close and I was laying the groundwork for Bandera 100k on 1/7, the idea of being injured for a third consecutive January haunted me. The prep for Bandera ended up going very well and by the time race-day came around I was ready to rock. It was one of those race-mornings where, upon doing your obligatory warm-up jog, you’re delighted to find the legs feel fresh-n-loose right outta the car. But of course, things went south for me in the great state of Texas. 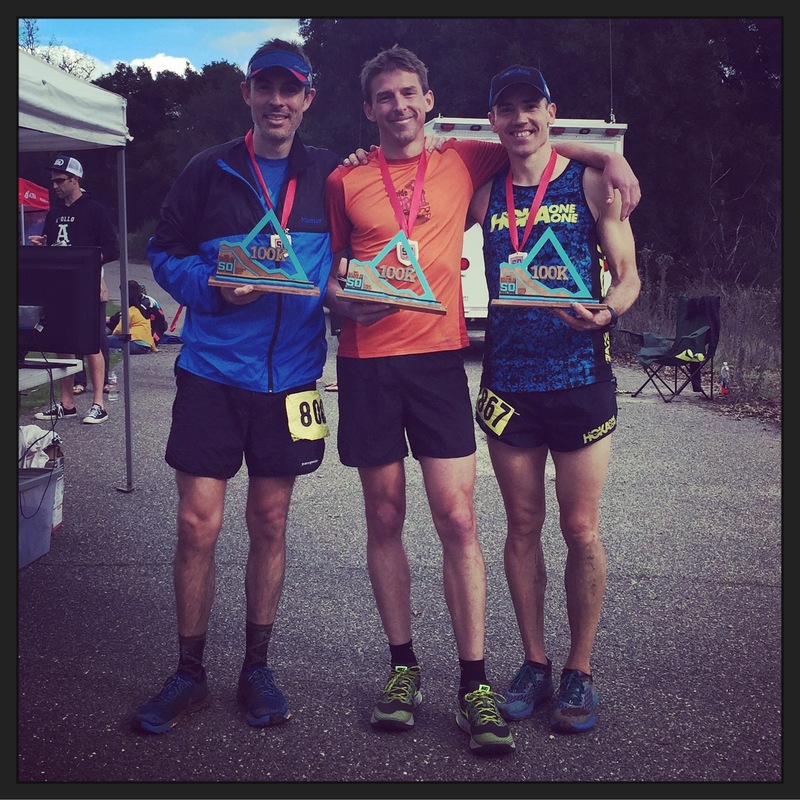 But, had they not and I’d earned my Golden Ticket into Western States there then I wouldn’t have raced Sean O’Brien (SOB) 100k, instead focusing on building in a longer rest period before starting my prep for Georgia Death Race (GDR) in early April. Thus, the silver lining of being directed off-course at Bandera was that I now had the opportunity to finally race SOB and get a solid 100k in me before the build to GDR. I was eager to race again post-Bandera, not just because I wanted—and needed— redemption but also because I wanted to capitalize on the fitness I’d built in the fall. 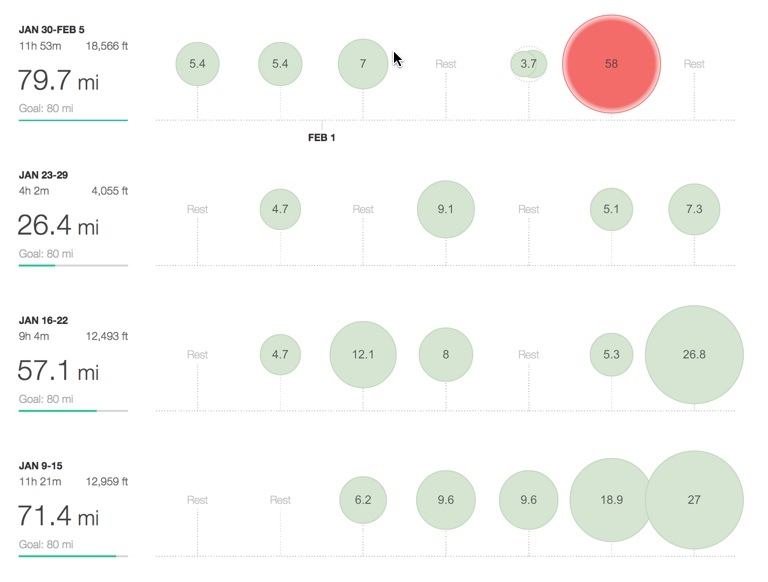 And I was still pretty fresh (I’d only raced about 40 of the 62mi at Bandera before dropping). I would now, however, have to s t r e t c h that peak fitness another four weeks to SOB. Truth be told, the disappointment coming off Bandera affected my running mojo for a couple weeks before I finally got my head on straight. I felt robbed not getting to run that final 20mi; a wonderful opportunity just plopped to the bottom of the ol’ port-o-john. If anything though, we have to be resilient in this sport. On 1/22, I was pleased to put up one of the best mountainous long runs I’ve ever done here at home, just two weeks out from SOB. One session doesn’t make or break a race, but it served as a reset and restored both my passion and confidence. Before I knew it, it was time to “taper” again. The plan going in to SOB was to simply roll with the challenging course and execute the most effective 100k I was capable of on the day. The competitive field would be deeper here than at Bandera so I programmed my head to do what Speedgoat Karl Meltzer always does so well and just “do my thing over the first half and then work hard to not get passed in the second.” The misting, muddy, 5am starting conditions here at SOB were about as inviting as the 20deg temps that greeted us at the start in TX. Oh the joys of racing ultras in the winter months! The sun couldn’t come up fast enough for me on Saturday. And once it did, I instantly felt more at ease—being able to see the trail—and course markings—a helluva lot more clearly. Naturally, after Bandera, the last thing I needed was to go off course again. At the start, Keira informed us of a slight course change due to the recent rains that would ultimately shave off about 4mi, as well as omit one of the toughest—if not the toughest—climb on the course. This was a bit of a bummer given the fact I need all the miles and mountains I can get in these Golden Ticket races to help me level the playing field. Of course I was grateful too we didn’t all show up race morning only to hear the race was canceled. Somehow, Keira convinced the park folks just hours before the race to let us run with just that small change to the course. Game on. 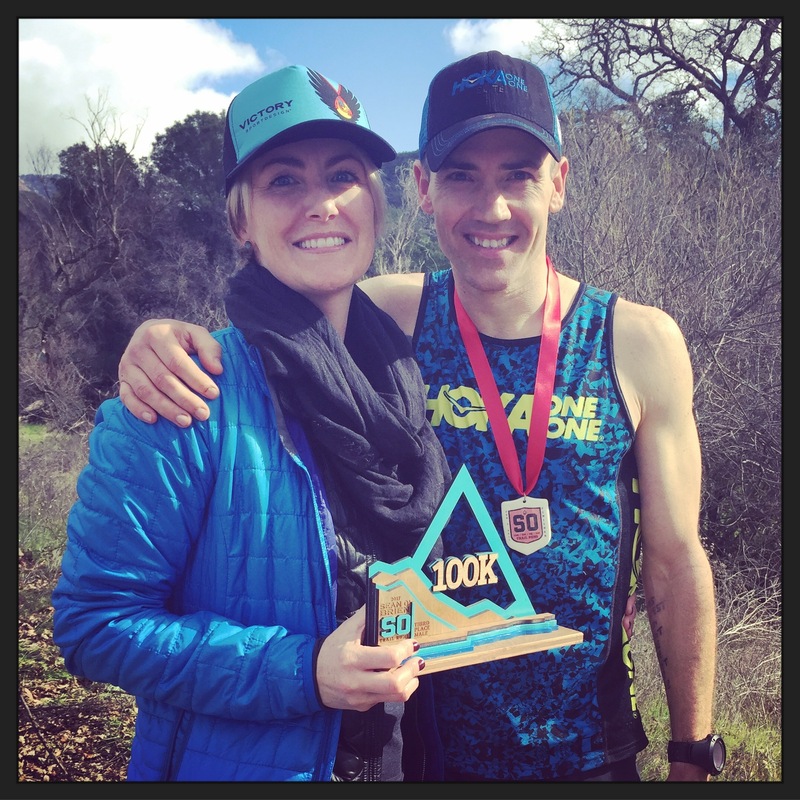 Chris Wehan has been my Inside Trail Racing (ITR) teammate, fellow competitor, and compadre for several years as well as pacer-extraordinaire at both my Tahoe Rim Trail 100 in 2014 and San Diego 100 in 2015. 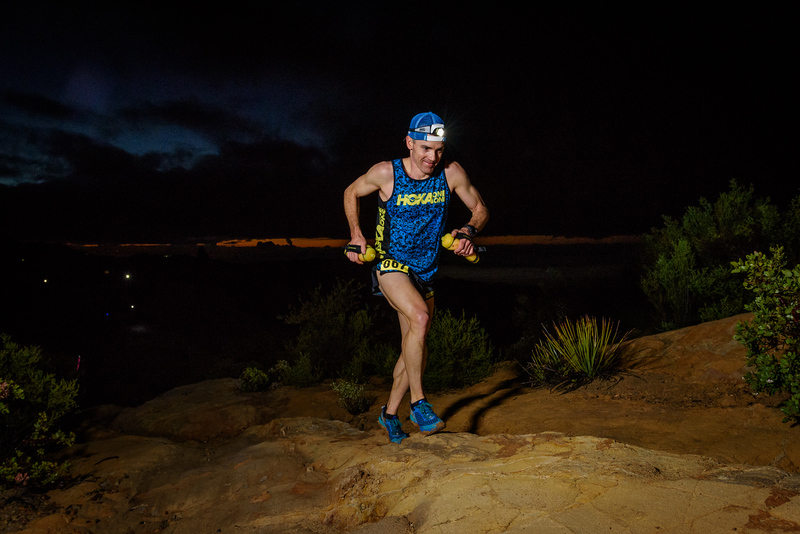 Additionally, Chris placed 4th here at SOB in 2015, which ended up being just one “hard-luck” spot away from his Golden Ticket into Western States. 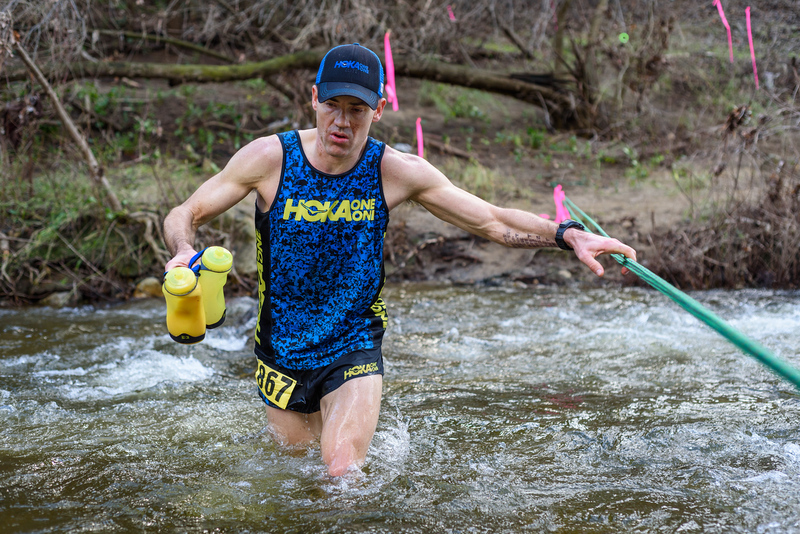 In 2016, after earning entry into States via the lottery, he bested his coach, Ian Sharman, at American River 50mi, earning a 2nd place finish only to end up with a frustrating injury that ultimately sidelined him, putting his dream of running States on the back burner once again. At the end of 2016, Chris came roaring back to post a 2:35 marathon PR at CIM. And now, at 35 years young, I felt he was poised to run to his full potential here at SOB. Indeed, I had a front-row seat to watch Chris run one of his strongest races to date. Through the Kanan aid-station I spied Chris’ orange-n-gray ITR kit up ahead and noted how quickly the gap between us was opening up. He was seemingly floating up-n-away on the climbs, and then out of sight. I’d never seen him climbing so well. It was early though and his climbing pace was simply faster than my current fitness was capable of sustaining in order for me to have an effective second half. Later in the race we’d see what the time separation would be and then I’d try my hardest to give him a run for his money. It was a sloppy mud-fest heading down to the Bonsall aid-station at around mile 20. This section was supposed to be part of the original lollipop portion of the course with spectacular views of Malibu and the Pacific Ocean. It was changed to an out-n-back with the Bonsall aid-station arriving about 1.5mi earlier (we still got the views!). Thus, on the way down, I got to see everyone in front of me coming back. I was pleased they weren’t that far up. On the way back up from Bonsall it was a true mud slog like I’d never run in before. It added a fun element to the already challenging course. It was truly laughable. Mud was caking up on the bottoms of our shoes and we were all doing the best to knock the mud off while trying to stay upright. It was pretty much an exercise in futility so we just rolled with it. I caught up with Airik and we chatted a bit. He wasn’t feeling great but was in good spirits nonetheless. On we slogged in our heavy, nature-fashioned mud boots. Arriving at the second half of an ultra is something I live for. It’s finally time for me to start building to that finish line >>>. Coming back through the field, lot of words of encouragement were shared and it was great seeing so many SoCal ultrarunners in the race and out spectating; folks that I don’t get to see very often outside of social media. The mud factor made things even more fun since we were all slippin’-n-slidin’ out there, trying to get past one another without taking each other out. Lots of laughs out there on the course, to be certain. The road eventually flattened out and I knew the aid-station was getting close, yet no one was coming back. A lot of folks were out hiking and biking. I refrained from asking them if they’d seen any other runners come this way. I didn’t want to know. I wanted the racing to last as long as possible. I’d never been so glad to see the first place runner coming back at me from a turn-around before. Chris had passed Ryan Kaiser at some point and was looking good. We exchanged words of encouragement and I was relieved that we were all still in it to win it. Along came Ryan in 2nd, looking just as relaxed and smooth as he did when I saw him hours earlier climbing back up from Bonsall (must be all that time on the treadmill up in Bend!). Amanda surprised me when I saw her at the turn-around, which, turns out, was actually less than mile from the Start/Finish. With fresh bottles from my drop-bag, I started after Ryan and Chris. I’d loosely pegged myself for about 5th place here today but, yet again, I found myself in contention for one of those ever-elusive Golden Tickets. No one else was coming back my way so I knew I likely had at least 3rd place locked up unless I tanked in the final two hours left of racing. It’s been a while since I’ve had a successful ultra beyond 50k. I knew from friends that the Bulldog Rd. climb was going to be a b*tch, since it comes late and you’ve got a lot of miles in the legs. About an hour passed before I finally reached the summit. I ran a lot of it early and power-hiked more of it as I got closer to the top. It was uplifting being on the receiving end of so much encouragement from runners barreling down at me! I wasn’t as strong as I would’ve liked to have been on this section but all things considered I was happy I was moving well, staying present, and thoroughly enjoying the racing. As they say, we’re only as good as our last race. It’s satisfying to have earned a spot on the podium here at SOB, even if it’s in the so-called “hard luck” 3rd place position. I’m proud of the effort and had a helluva lot of fun out there on Saturday. Plus, I stayed on course so that’s always a big win! Going into my fourth year now as masters runner, I’m surely still “fumbling toward endurance,” to a use a term coined by Geoff Roes. My desire to keep trying to figure sh*t out remains alive and well. As we age, we’re going to inevitably acquire some chinks in our armor. For example, I went for some 15 years in endurance sports without incurring a serious injury; then I hit 40—Chink! Sometimes we have to tackle our egos when our vulnerabilities are on display for others to see. Whatever we do we gotta keep moving that ball downfield, so to speak. When life sacks us, we fall back on our core beliefs, or principles, or religion, or mission statement, or code we live by, whatever you happen to have. Just have something in place that gives you the courage to persist in the face of adversity, negativity, and cynicism. Dr. George Sheehan stated it best in his book Running & Being, “There’s no excuse for not playing good defense.” Like Superbowl LI we just witnessed over the weekend, you just never know what can happen in the second half. It ain’t over ’til it’s over so keep on pluggin’! Parting Shot: She earned this trophy dealing with me over the past month! This entry was posted in Race Reports and tagged Chris Wehan, Golden Ticket, Ryan Kaiser, Sean O'Brien 100k by bobshebest. Bookmark the permalink.